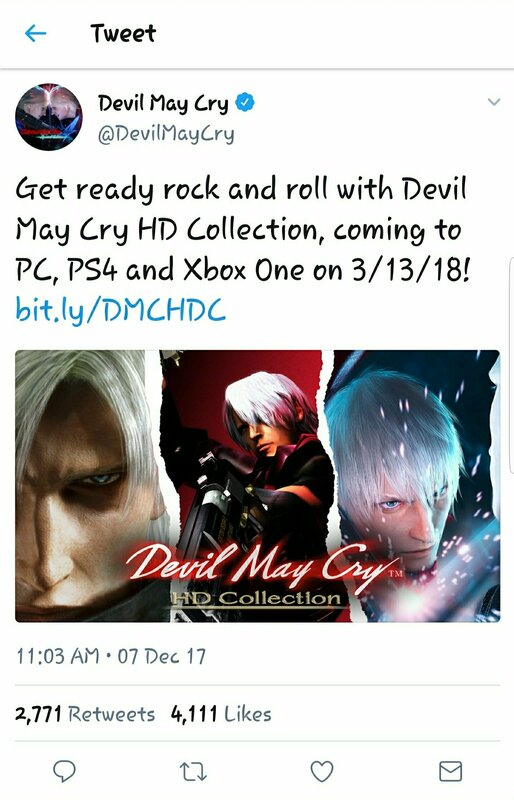 Capcom had just announced it’ll be bringing Devil May Cry 1-3 to PC, Xbox One, and PS4 on March 13th 2018, being labelled as the HD collection much like they did last console generation. Fans have been clamoring for this since the polarizing reception of the 2013 Ninja Theory developed DmC: Devil May Cry. Since then both DmC and Capcom created Devil May Cry 4 have both been brought over to current gen consoles. It makes sense this announcement has been made due to the imminent, still considered a rumor, reveal of Devil May Cry 5 that is rumored to be shown at the PlayStation Experience later this week. There is no mention of a Nintendo Switch version. Devil May Cry 1 was well received, originally set to be Resident Evil 4, and Devil May Cry 3 is considered the pinnacle of the series. Devil May Cry 2 sits somewhere in the middle but isn’t as polarizing as the one made by Ninja Theory. The main complaint was the unexplained change in series protagonist Dante’s personality. There is no doubt a new Devil May Cry will come one day but until then, we can enjoy the original trilogy on the more powerful hardware.